This week, as the Sun ’n Fun International Fly-In & Expo was opening at Lakeland Linder Regional Airport, this year’s AOPA Best Aircraft Showdown was winding down online. In this March Madness-like bracket contest, members voted for their favorite airplanes, and when the dust settled, the Douglas DC-3 beat out the F4U Corsair by a vote of 1,255 to 919 to win it all. This validation of the DC-3/C-47 is understandable because so many Airplanistas around the world love this versatile and seemingly indestructible do-it-all airplane. We have grown to cherish these vintage machines, with many aviators - including myself - going so far as to say they are alive, as if they have souls. Not in a human sense, but certainly in a spiritual one. Think of the hundreds of thousands of air-miles these ships have flown, in battle, in dangerous weather, and in to and out of short, unimproved dirt strips carved from the side of a mountain. Throughout it all, these old DC-3/C-47s served their crews courageously, taking a beating, with most living to tell the tales. I have spoken to many pilots of these beautiful birds, and they will all tell you straight up...they are in fact very much alive. Ask any Gooney pilot who flew the Burma Hump if he had a special, spiritual bond with his C-47. The answer will ALWAYS be...yes. But in the 78 years since a Douglas DC-3 made its maiden flight at Clover Field in Santa Monica, California, many of these DC-3/C-47s have gone to the scrap heap. There are, however, a handful of companies that are keeping a few of the cleanest DC-3/C47s in service. One of these companies is Dodson International, a Kansas-based company that converts them into turbine-powered beasts purpose-built for new missions, fitted with powerful new Pratt & Whitney PT6A-65AR Turbine Engines, new avionics, and a new life. 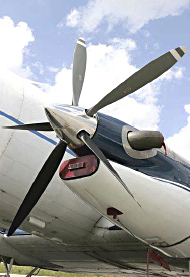 "The modern-day DC-3 turbine conversion traces it roots to Aircraft Modifications Inc. of Waco, Texas," Dodson said. "They developed the first aircraft with a 40-inch fuselage plug forward of the wing and two PT6A Turbine Engines. These are the basis for the original STC issued in 1989 to AMI, later Greenwich and then Dodson, which is a second-generation company. Originally it was Dodson Aviation, started by father, Bob Dodson in 1967. Dodson International Parts was established in 1984, and we became involved with DC-3 conversions in 1997 via acquisition of several converted aircraft." "Here's the process of our Dodson Turbo Dakota aircraft conversions," explains Dodson. 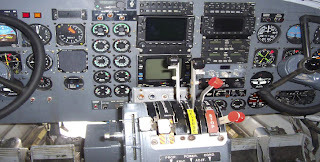 "Airframes are chosen to convert that were clean and with no or minimal corrosion, and then stripped of all components. Any corroded or damaged structure is replaced. The fuselage is cut forward of the wing and a new 40-inch structural plug is riveted in place to lengthen the fuselage. This adds volume to the load capacity as well as helps the aircraft's stability for CG issues. The aircraft is then reassembled with new modern electrical systems including new wiring looms. New fuel systems and pumps, new avionics and instrumentation, new hydraulic and braking systems are all added. PT6 turbine engines on dynafocal mounts are mounted with composite cowls. We finish the installation off with fire detection and extinguishing systems and put on five-blade Hartzell propellers. And then we get started on the interior and customer options. These DC-3/C-47s are truly are a remarkable, quality, timeless design which is especially unparalleled in a rugged environment." Total useable fuel capacity: 1,030 U.S. gals. "Probably the people with the very best stories about the DC-3 are the Humanitarian workers and Missionaries using the aircraft to, literally, save lives," said Donielle Summers. "With this aircraft, food and medical supplies are getting to some extremely grateful people! No other aircraft could get into many of these areas, and it is very difficult to get to some areas any other way than by air. It's an amazing aircraft and the good I have seen accomplished with these aircraft is why it's my personal favorite. I'm proud to play just a tiny part in what has been accomplished with these DC-3's. I believe we feel having these aircraft is truly a humbling responsibility!" If you want to take a closer look a the Turbo Dakota, find it right now at the Sun 'n Fun International Fly-in and Expo, located near approach end of Runway 5 on the south side near the Boeing 727.